Want To Rent An RV In Indiana? Getting an RV rental in Indiana is as easy as can be. Indiana is home to a lot of the motorhome manufactures so a lot of people own RVs because they can get them cheaper than most other places in the country. A lot of people will travel from other states to buy an RV in Indiana just because of the cost savings to do so and then they can make a trip of it by driving it home and stopping to see some sites along the way. Indian has a lot to offer as far as camping and events that you can use an RV for. First of all you have Lake Michigan where the camping is amazing on the lake shore. You also have a number of pro sports teams and college sports teams that are a riot to tailgate at in an RV. You also have the Indianapolis Motor Speedway which houses many big races such as the Indy 500 and numerous Nascar races. Needless to say that is a destination where RVs get used. My opinion is why buy one when you can easily rent one and then return when you are done and go home without all the messy and tiresome maintenance. When renting an RV in Indiana you have a few options. This is my favorite option and one that is really starting to take off as far as popularity. Basically it is AirBnb for RVs. 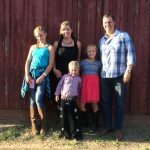 You have owners that want to make a few extra bucks by renting out their RV and you have people that don’t want to own an RV but want to rent one for an occasion. You have a couple players in this game right now and they are RVShare and Outdoorsy. I have used RVShare and had a really good experience. Check out my RVShare review here. Of course you will find people that complain about it and that had a bad experience. Unfortunately you can’t make everyone happy as I’m sure you are aware of. Basically when renting you have to use some common sense such as don’t wait till the last minute to rent because you are dealing with real people that probably have jobs and other responsibilities and they don’t look at their e-mails every 5 seconds. And don’t rent one that looks like it has been used and abused. If you follow these simple guideline you should be fine. Cruise America is not a bad way to go also. I have actually rented from them before and had a good experience. They were easy to find and the RV was clean and ran well. We got exactly what we signed up for. They are a reputable company that has been around for a while. Some of the draw backs are that they tend to be a bit pricey especially if you go over the allotted miles and use stuff in the RV such as the shower, stove and kitchen utensils. You are also a traveling billboard for them with their name and phone number plastered all over it. If you have your ducks in a row and follow to your plan such as we did when rented one you will have a good experience. Renting an RV from a dealership is not a bad way to go also. 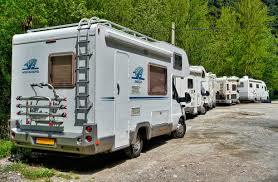 They know RVs and most can maintain them right at the dealership so you know you are getting a reliable one. If you can find a dealership that you trust and has reasonable prices then it might be a good way to go. The drawbacks are they tend to be a little expensive and finding one that rents can be a little tough at times. I have also noticed that when you do find a dealership that rents they tend to rent out pretty fast so you have to be on your game. A lot of time you can find a brick and mortar place that specializes in only renting RVs. They are not everywhere but sometimes you will be able to find one. I have never rented one this way but from what I have seen from research is that they sometimes tend to be a little expensive but not all of them. It probably depends on demand and if they can rent year round or not. But before you rent one again do your research and see if they are reputable or not and make sure you are covered by some sort of insurance because accidents do happen. Enjoy your RV adventure in Indiana. Again remember to do your research and if everything looks good then go for it. And please don’t wait till the last minute to book.